We are still 21 days away from the official opening of the mercato, or transfer market, which means that we should have our squad for next season just about nailed down, right? Well with very little football on the horizon, it is a fan’s speculation paradise, with more rumors flying around than fleas on a slum dog. So with Galliani on some cruise, and rather than wait for the rumor mill to feed our tiny little brains, today I thought we’d just take on the whole squad and get it all over with. Today is your lucky day: Fantamercato. "Berlusconi said what? If he asks, I'd be there..."
So in a perfect world, who would stay? Who would go? If sending away a player or acquiring a player were as easy as snapping your fingers, what would you do? And if you take away more than seven players, who would come into the squad? Try to be realistic with transfer monies, the balance of the squad (number of defenders, midfielders, and strikers,) and keep in mind the salaries (listed after their names, if known*) For example, if a player leaves who makes €.5m/yr., we can’t necessarily replace him with a player who makes €8m/yr. And to that end, keep in mind our new salary cap is €4m. Oh, and remember that we are supposed to only sign one “champion” per mercato and everyone else should be 23 or younger, according to the new guidelines. Abbiati €1.5m – keep. End of. Amelia €1m – if he could be swapped for a younger, better version, it would be ideal. Gabriel €.5m – keep. Unless we could make a profit and bring in another young keeper… but only switch 1 of the 3 keepers. I don’t see Amelia or Gabriel ready to step into Abbiati’s shoes in the next couple of years. Antonini €1m – is Russia too close? Let’s keep up with him on Twitter. OUT. 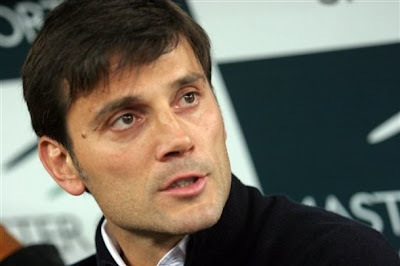 Bonera €2m – what the hell do you have on Fester to get a new 2 yr. contract? Forget it. OUT. De Sciglio – keep. Give that boy a raise, if possible. Salamon – he’s 6’5” (1.95m). And 22. Can we see him play before we send him packing? Keep. Didac Vila €.6m – is he still alive? OUT. By mutual consent. Yepes €1m– I don’t care what anyone says, he is the experience we need. Keep. Zapata €1.5m – keep. Not sure if he is the answer to everything, but he is solid. "So Milan aren't going to renew me? So that's how it is..."
Ambrosini €1.5m – my heart says keep, but my head says OUT. But we need to keep some other older players with CL experience if he goes. Boateng €2.5m – if he was guaranteed to play in midfield, I’d say keep. But everyone’s got a price, and €15m is a good one for me, particularly to prevent Allegri from ever playing him up front again. Also to restore some dignity to the no. 10 jersey. OUT. Constant €.8m - keep. And maybe spend that €4m to have 100% ownership already! Flamini €1.5m – if he keeps his reduced salary, keep. Also if Galliani tells him to score every match. Muntari €1.5m – OUT. I’ll red card him myself. Nocerino €1.5m – keep. I think he’ll play better in the 4-3-1-2 system again. Plus he’s hot. Traoré €1.2m – OUT. End of. Balotelli €4m+bonuses – keep. duh. El Shaarawy €.8m – keep. There isn’t enough money in the universe to justify sending him away. Bojan Krkic €1.5m – I’d keep him to play as trequartista, but not for what Barca want for him. OUT. Niang (salary unknown) – keep. Pazzini €2.7m – keep. Even if he’ll be out through October. Robinho €4m– OUT. Sorry, Binho, but I can’t sit through another winter mercato listening to you complain about the cold Milano winter. Fly home. And Godspeed. Urby Emmanuelson €1.5m – keep. Even if Allegri will not play you in position. Taye Taiwo (salary unknown) – you’re still a Milan player? OUT. Bryan Cristante (salary unknown) – keep. Duh. Riccardo Saponara (salary unknown) – keep. Jherson Vergara (salary unknown) – not sure if he’s meant to be in the first team or the Primavera, but he could form the next great Colombian partnership at CB by deputizing for Mexes. Could 'El Chiquito' be a cheap option for us at center back? Defenders: With my sending-offs, I need 2 fullbacks and a center back, so…. pick 2 fullbacks and one center back…. Davide Santon – I know he played for Inter, but I think it’s time to bring him back to Milano. He can play at either right or left back, and is only 22. Stefan Radu – okay, I cheated because the Lazio defender is 26, but he can play at LB or CB, so I figured it was okay for him to be a little older. Gotoku Sakai – at 22, he can play at either LB or RB. He is very strong defensively, and decent on offense. And seriously, Antonini anyone? No thanks. Bring him on! 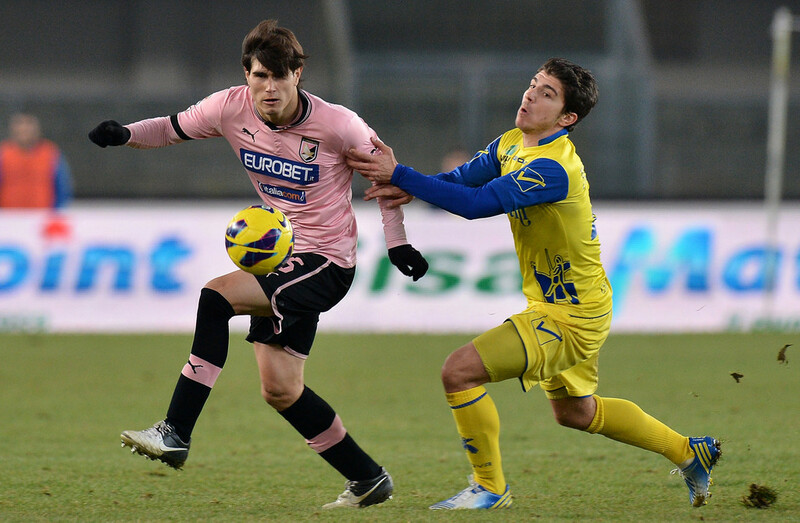 Ezequiel Munoz – Now that Palermo have been relegated, let’s take advantage of their situation and rescue the 22 year-old from a life in Serie B. He has been solid for them, but has a whole lifetime ahead of him. He’s great in the air, too, something we need at CB. Kurt Zouma – He’s only 18, yet he’s reportedly the next big CB. Plus, he’ll fit right in with our French entourage, so bring him on. (Although that would put us with 2 18 year-old CBs, if Vergara comes into the squad, I think we might be set for a while.) Also, he’s got to be better than Bonera. Luis Muriel – despite having signed a 5 year deal just last year with Udinese, it is rumored that we’ve already inquired about the 22 year old. I would absolutely say yes to this one. Mattia Destro – umm, do I really need to sell this one? If Roma would let go of their 22 year old gem, I’d take him. So… do your worst. If you get your ideas from one of those places, please don’t tell me, I would like to still respect all of you in the morning. Feel free to take on the whole squad, one section of the squad, one player, or whatever you have in mind. This is your chance to put your FIFA and FM knowledge to good use, so bring it.